Omega 3 "helps eye health"
A company that produces diet supplements has backed a study that concluded diets rich in omega 3 fatty acids reduce age-related macular degeneration. Visivite.com, which sells eye health supplements containing omega 3 on the internet, agreed with the findings of the study, which were published in the American Journal of Clinical Nutrition. Macular degeneration causes atrophy and bleeding in the retina"s inner lining (the macula). The condition affects people"s ability to read, see fine detail and can lead to blindness if not treated. 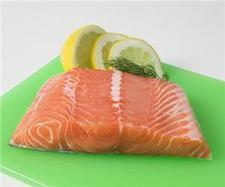 The study found that test subjects who ate at least one portion of fish each week were half as likely to develop macular degeneration as those who ate fish less than once a week. VisiVite underlined that there is no cure for age-related macular degeneration but there is "mounting evidence" linking antioxidants and omega 3 fatty acids to slowed progress of the disease and prevention. The macula is located at the centre of the retina and is the spot at which almost all of our "critical vision" takes place.